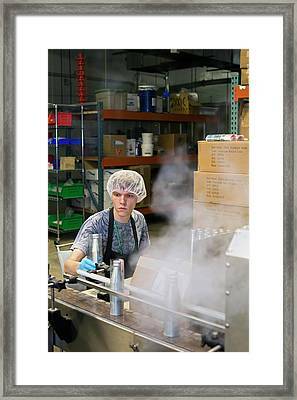 Marijuana Products Factory is a photograph by Jim West which was uploaded on July 24th, 2016. 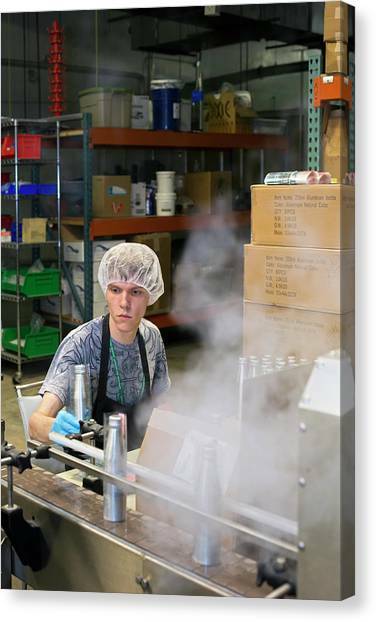 A worker on a production line making soda drinks at a marijuana products factory. The drinks are infused with THC (tetrahydrocannabinol), a psychoactive chemical found in marijuana which produces feelings of relaxation. The use, sale and possession of marijuana (the buds and leaves of the hemp plant, Cannabis sativa) is illegal in many countries. 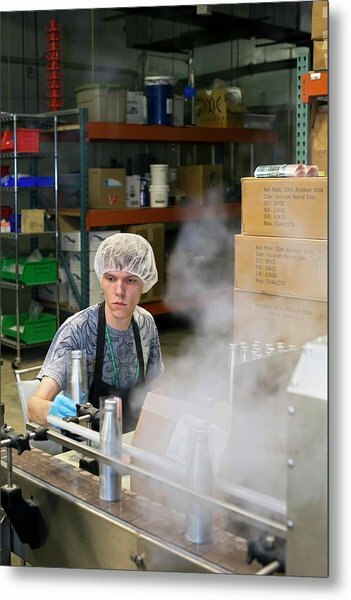 However, some states in the US have created exemptions for medical marijuana use and decriminalised recreational use. Photographed in Denver, Colorado, USA. 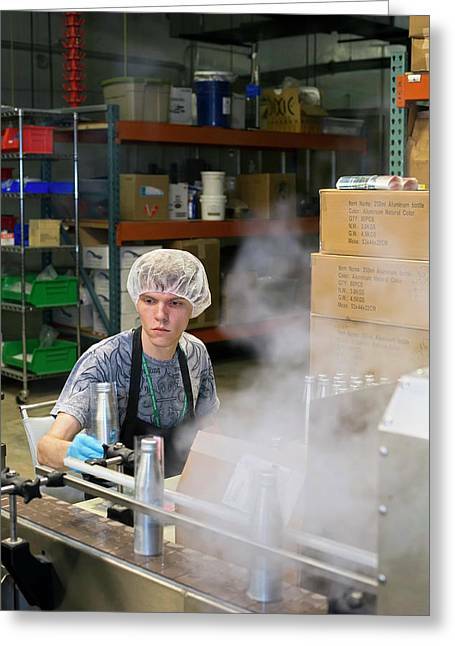 There are no comments for Marijuana Products Factory. Click here to post the first comment.